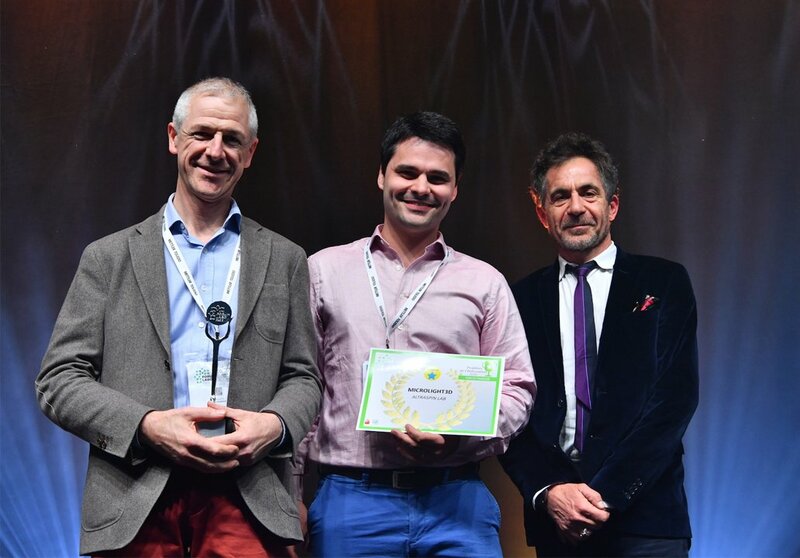 Microlight3D, a specialty manufacturer of ultra hi-resolution 3D-microprinting systems for industrial and scientific applications, has won the award for Best French Startup from Forum Labo Paris 2019. Microlight3D is one of only two companies in the world to commercialise 3D printing systems based on two-photon polymerisation, enabling researchers and industry developers to create objects at the submicron level in any geometric or organic shape. The jury of experts at the Forum Labo Paris, a major biennial technical and scientific event attended by over 350 exhibitors and 8,500 visitors that brings together researchers and industry professionals working in public and private laboratories, selected Microlight3D in recognition of its new 3D printer Altraspin Lab. Altraspin Lab prints ultra-high-resolution micro-scaffolds and cell support structures onto multiwell plates. Altraspin produces micro-parts with a resolution 100x smaller than a strand of hair for applications requiring exact precision and a flawless ultra-high-resolution finish. These include creating micro-optics and micro-sensors and printing shapes that fit inside microfluidic devices. It is also suited to metamaterials, cell culture, tissue engineering, microrobotics, micromechanics and surface structuration. The awards ceremony, the 4th edition of which took place on Tuesday, March 26, honoured companies with Innovation Awards in five distinct categories: Instruments, Equipment, Consumable/reagents/kits, Informatics and Services, plus the French Startup award. Microlight3D was among 17 finalists. The submicron-resolution Altraspin achieves, as low as 0.2µm, is based on a two-photon polymerisation direct laser writing method plus its proprietary ‘continuous print flow’ technique. This technique is not constrained by the conventional additive layer-by-layer approach that limits standard 3D printing resolution to 25µm. As a result of Microlight3D’s submicron resolution, it can print micro-parts so flawless that they do not require post-processing. 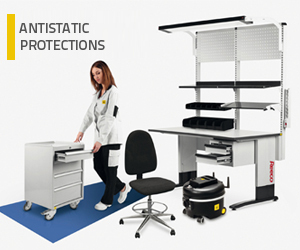 Elimination of this step brings manufacturers advantages in both time and cost. Since its founding in 2016 following 15 years’ research, Microlight3D has received other industry awards in recognition of its developments and the application of its technology: the Medinov 2017 award, grand prize ILAB 2018 winner, and its selection in 3D Oncochip (2017), a French government funded FUI (Fonds Unique Interminsteriel) project aimed at personalised cancer treatments. Reeco soldering robot is the winner of the 25th jubilee competition gala „Dobry Wzór 2018”.